Kaolin (clay), that confers plasticity and opacity. Enhances the handling of the porcelain before cooking. For their good aesthetic are used to coat metal or ceramic structures, being able to mimic dental anatomy thanks to the addition of pigments. It should be supported over a more resistant ceramic. It is only used for the manufacturing of the internal structure mostly in high mechanic compromise areas, as the posterior zones of the mouth. Nonetheless we must be cautious because their coating with Aluminous or Feldspathic ceramics decreases their tenacity. That is why ceramometal structures are still in use in the dental field. 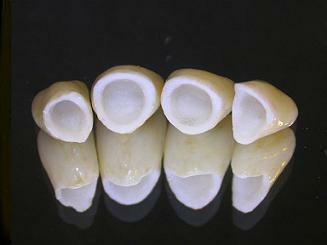 To work in dentistry only with ceramic is essential to have enough prosthetic. 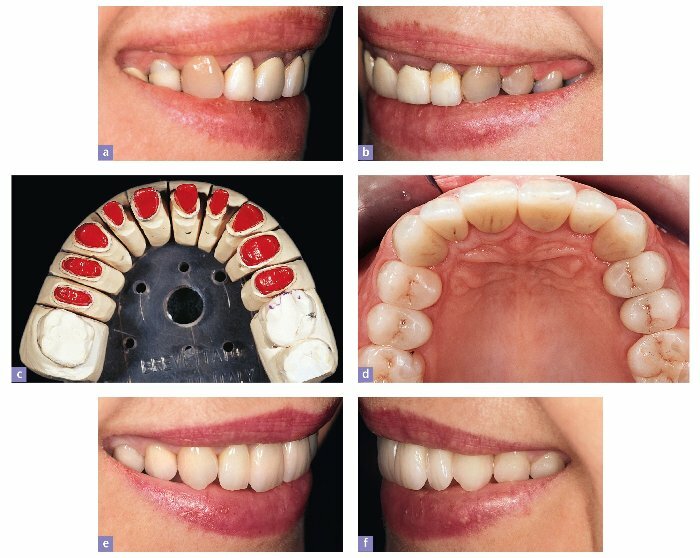 We must exclude those patients with crossbite, overbite or parafunctional habits. Ceramic implant-abutments: Zirconia, not forgetting that its resistance is less than the titanium. The traditional porcelains are cemented to the prepared tooth and sometimes to find the space required to add layers of porcelain that provide aesthetic, tooth tissue is very worn out. Currently there are available porcelains that fill both requirements: aesthetic and strength, and can be bonded to the teeth, proving to be the choice material in our daily practice. We are talking about IPS e.max Ceram, that will be discussed in a new article.